Halong Bay - one of the seven natural wonders of the world in Quang Ninh. It's the most favorite tourist destination in Vietnam. 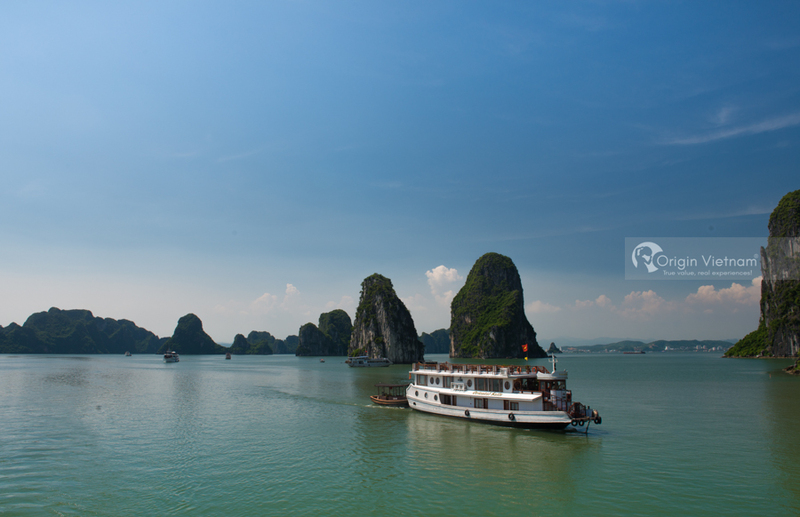 Not only famous for the fresh and cool climate, the images of Halong tourist sites. Such as Bai Chay, Tuan Chau island, Cat Ba, Sung Sot caves ... also create a strong attraction, attracting million visitors visit Halong Bay every year. Halong Bay is a very famous tourist destination in Quang Ninh province. Inside the bay consists of nearly 2,000 islands, each with its own attractive island. The most beautiful part of the island is the UNESCO World Heritage Site. Within the cultural heritage area there are 775 islands, occupying one third of the islands in Halong Bay, including some islands in Bai Tu Long Bay. Halong Bay has many beautiful beaches on Cat Ba Island, Tuan Chau Island and Co To Island, but Bai Chay is still the most attractive place to bathe tourists. This is a beautiful beach with beautiful sandy beach stretching more than 500m, 100m wide. With such a large area, visitors have plenty of space to relax and participate in outdoor games. Referring to the most attractive Halong tourist sites, Bai Chay beach is the first tourist must definitely visit your visit Halong. Not only the scenic sea island, Bai Chay is a large beach with many beautiful beaches in Halong. Bai Chay beach also has a system of restaurants, hotels and resorts with many bars and entertainment centers serving tourists both day and night. Tuan Chau Island is an ideal resort resort on an area of 400ha. The island is located 2km from Halong Bay. Surrounding the island are beautiful beaches, high-end resorts and green pines. The beach on Tuan Chau Island is very beautiful and attractive. Not only be fun to bathe in the clear blue water, cool, tourists to Halong Bay to Tuan Chau Island also experience the game such as paragliding, water canoe ... After bathing, if If you are not satisfied, tourists can rent a boat to admire Halong Bay or mountaineering adventure in the cliffs near the sea. Tuan Chau island tourism often organizes musical performances, music and other interesting activities to serve tourists. If you want to spend the night on the island, you can stay in hotels and resorts on the island. Cô Tô is one of the most beautiful tourist island in the Gulf of Tonkin. The island has beautiful natural scenery, beautiful. Island of 47.3 km 2 with more than 50 islands large and many beaches in the cool, cool. Tourist attractions attractive to visitors to Co To Island is not to be overlooked, the sea Hong Van and Co To beautiful children. Especially, Co To Island is the most beautiful spot for sunrise in Halong Bay. Visitors to Co To travel should enjoy the delicious seafood dishes here. Ba Hang fishing village next to Thien Cung cave is a very famous fishing village in Halong. The village now has more than 50 households living and fishing. Visitors to the Hoa Cuong fishing village are very fond of the peaceful tourist atmosphere here. Traveling Hoa Cuong fishing village is also a chance for visitors to experience the sea life of the fishermen living here. Visitors will be instructed by fishermen to fish, throw net fishing. After the trip will be the fishermen here processed into delicious food for visitors to enjoy. The system of caves in Halong Bay is a great place for visitors to explore and conquer caves. 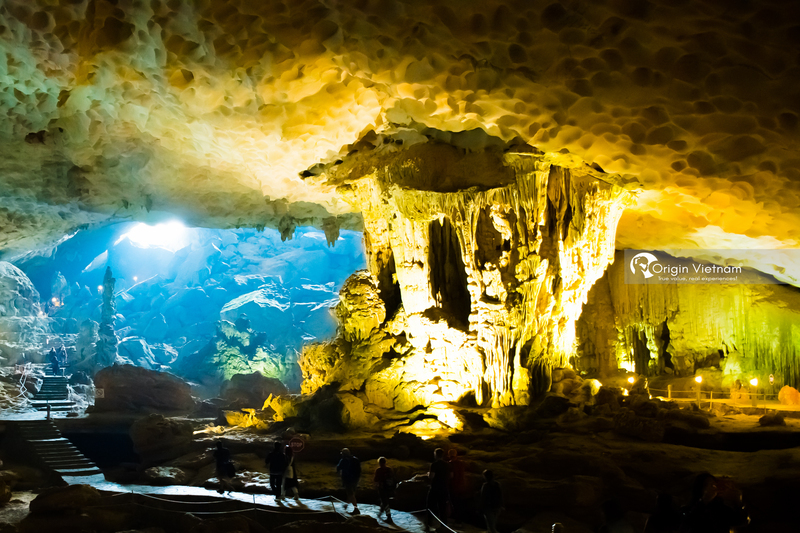 Sung Sot Cave is one of the three largest and most beautiful caves in Halong Bay. The cave is located on the island of Bo Hon in the heart of the world heritage. Inside the cave is a spacious road system with many stalactites and stalagmites on the ceiling of the cave and two sides of the road. In particular, the highest peak of Sung Sot cave is a magnificent royal garden. There are lakes, forests and even forest animals. You will be amazed at the beauty that nature mothers give this cave. 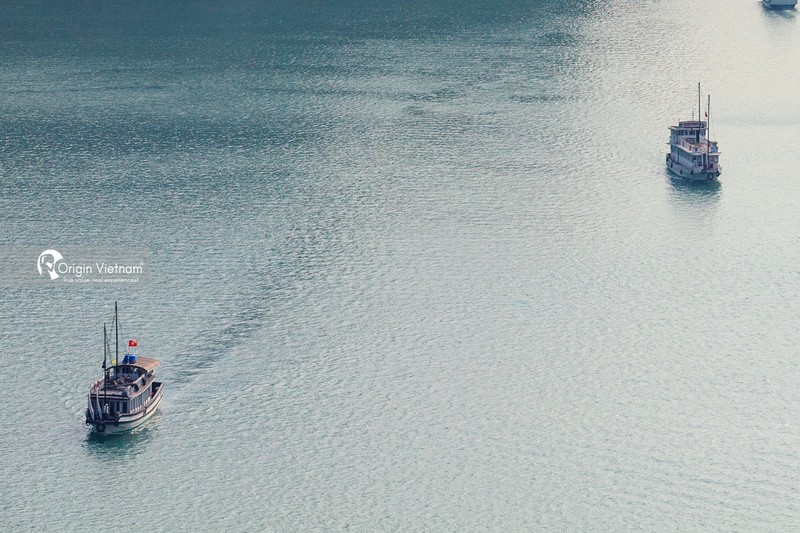 The cruise to visit Halong Bay will bring visitors to many beautiful and most attractive tourist attractions in the center of cultural heritage Halong Bay. Standing on the yacht, visitors will enjoy the cool air of the sea, behold the beautiful big island and take great pictures. Halong nightlife on the boat is also a chance for tourists to sleep in the wild nature, in the whisper of the wind and waves. Early morning wake up tourists also enjoy beautiful sunrise on Halong Bay. Scenic cruises on the new seaplane were developed recently by Hai Au. On this flight, visitors will be able to enjoy panoramic view of the small islands on the bay from a height of more than 300m. 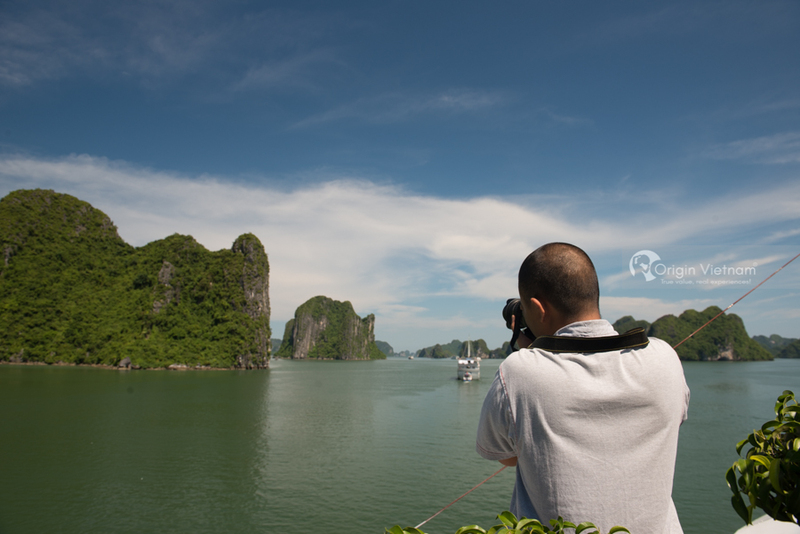 This is a great opportunity to take pictures of Halong Bay on high. Halong Bay inaugurated and put into operation cable car travel system bringing tourists from the Bai Chay beach through Ba Deo Hill, Hon Gai. Cabin system has only 2 cabins with a capacity of 230 people / cabin. Inside the cabin is very large, around the large glass doors for tourists to admire Halong Bay and take pictures of Halong Bay from above. The double-decker cable car is also the pride of Halong Bay when it set the world's tallest tower (the tower at Bai Chay is 188.8m high). 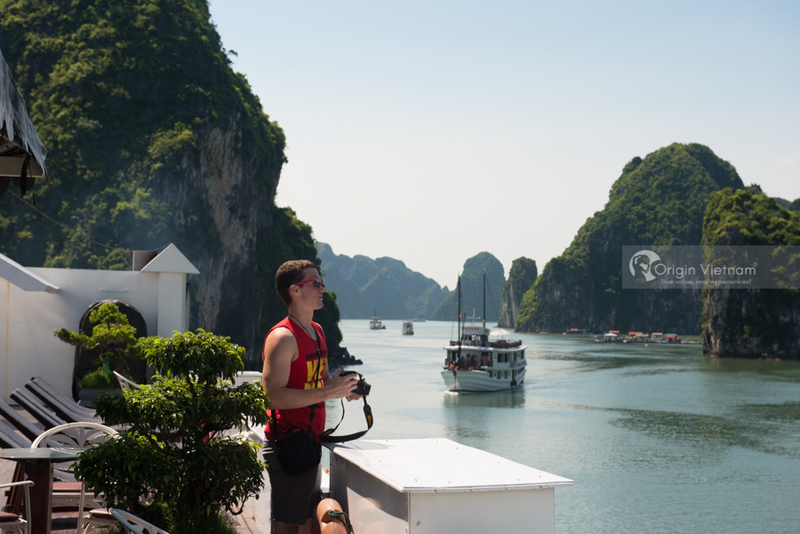 The image of Halong tourist sites is very great in the eyes of tourists. It is difficult to find a second tourist site with majestic water scenery, cave system and spectacular big island system such as Halong Bay. 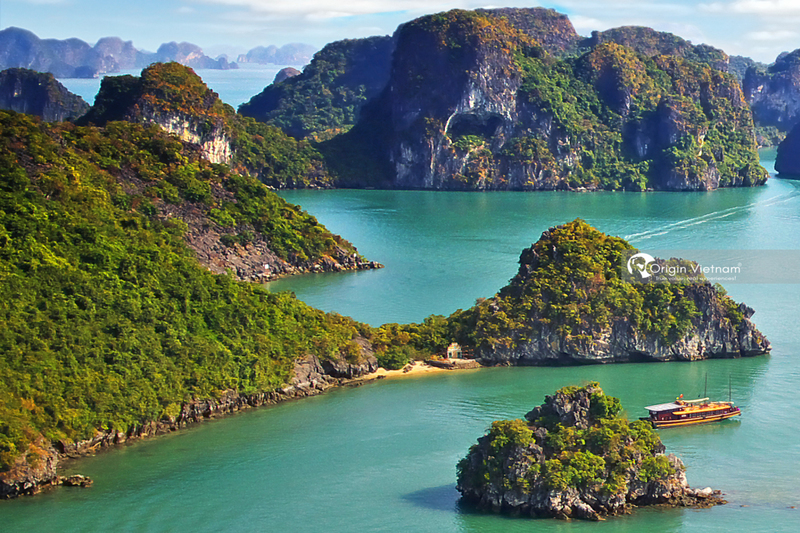 See you at the natural wonder of Halong Bay on the holidays Vietnam.